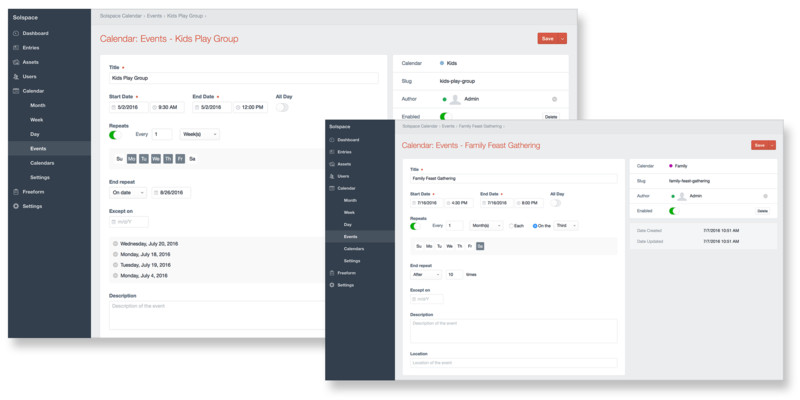 The most reliable and powerful event management plugin for Craft CMS. 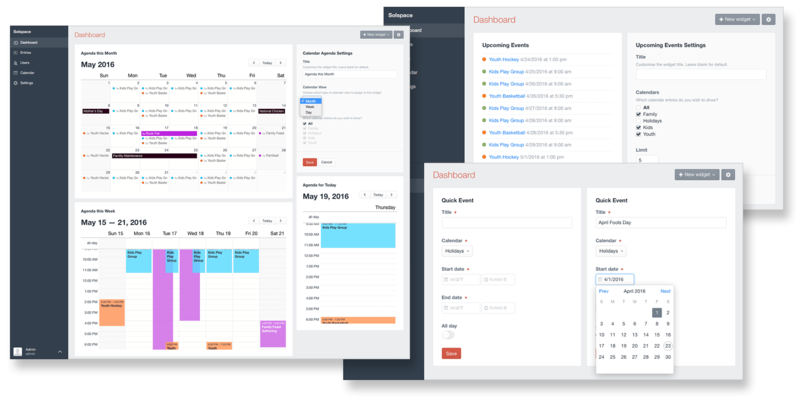 Calendar is the most reliable and powerful event management and calendaring plugin on the market for Craft CMS. 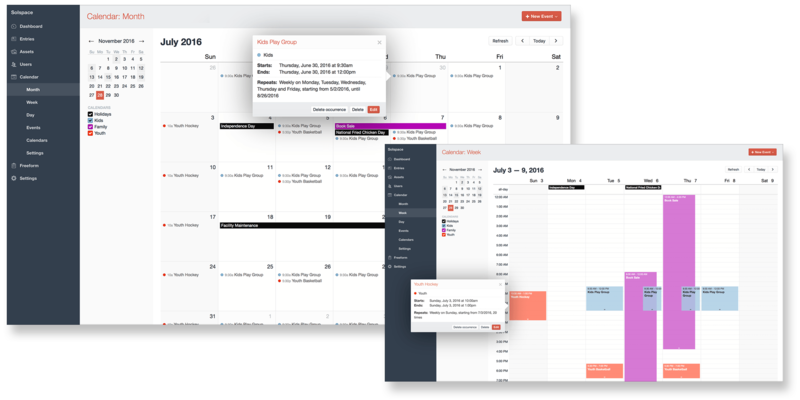 The intuitive interface allows you to create events with complex recurring event rules and exclusions, while the flexible templating offers a variety of options to satisfy your calendaring needs. CP includes interactive Month, Week and Day views for easy management. Easily and quickly create complex recurring events with exclusions! Templating is easy and highly customizable for even complex setups! 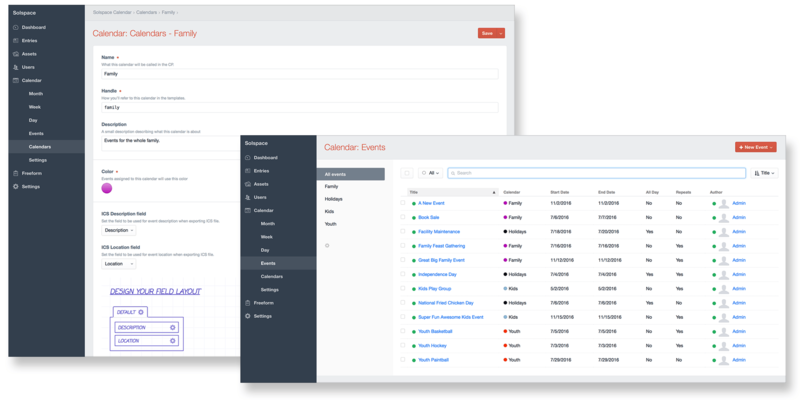 No other Events plugin for Craft CMS even comes close to offering this many features! 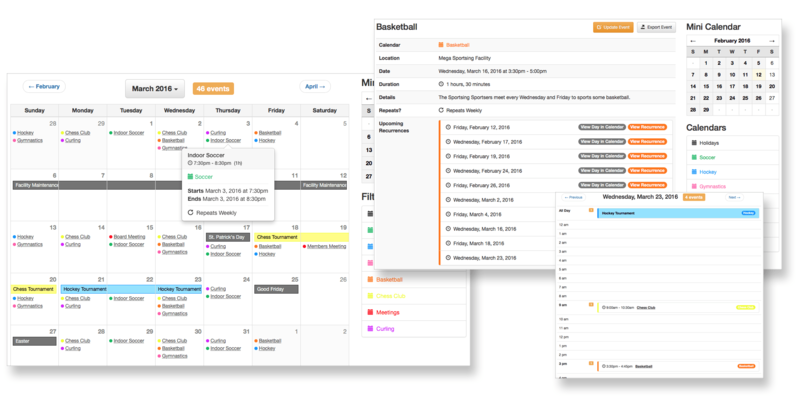 Allow users to export whole calendars and/or events directly into other calendar applications like Google Calendar, Apple Calendar, Microsoft Outlook and more. Allow users or staff to subscribe (one way sync URL) to whole calendars into other calendar applications. 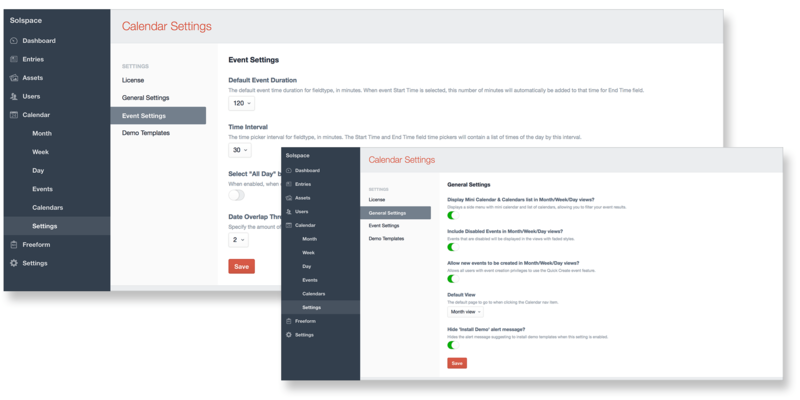 Add, edit, move, delete events within intuitive Month/Week/Day views for easier visual management of events. Create complex recurring events with exclusions! Create as many different calendars as you need. Adjust a wide range of settings to change the way Calendar behaves. With one click, you can have a set of working, styled templates from popular HTML/CSS frameworks ready to go! Calendar 2 for Craft 3 available in the Craft 3 Plugin Store! Each purchase of Solspace software includes 1 year of updates from the date of purchase. Once that year is up, you can keep using the last version of Calendar you downloaded, forever. If you'd like to continue to receive additional updates and support for Calendar, you can purchase a renewal for another year at roughly 40% of regular new purchase price per year. NOTE for Craft 3: Any purchase of Calendar for Craft 2 that is less than 12 months old is eligible for receiving the remaining balance of that time on Craft 3 upon request. So for example, if you purchased Calendar on November 15th, 2017, you can contact us to have your license moved to the Craft 3 Plugin Store, where you'll receive the duration of your 12 month license (until November 15th, 2018). For licenses that have expired / passed the 12 month period already, we can grant you an expired license for the Craft 3 Plugin Store that you can then renew and take advantage of the discounted renewal price. We're so certain you'll love Calendar, we guarantee it! If Calendar is not right for you, just let us know within 30 days of purchase for a full refund. Frequently asked questions about buying Calendar. 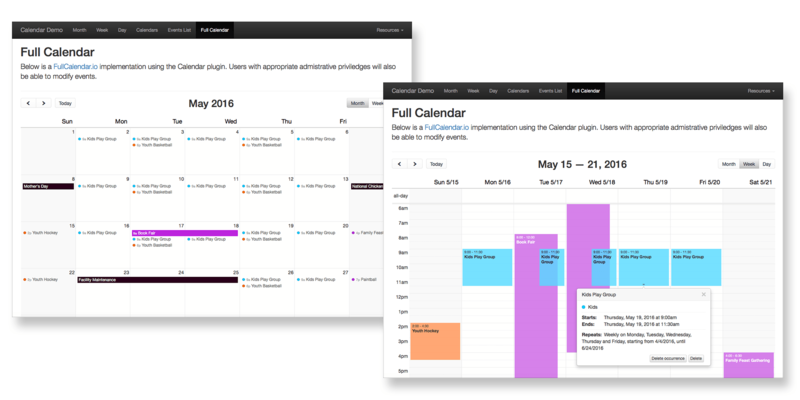 Each purchase of Calendar allows usage for 1 website, with the exception of development and staging versions of that site. If I buy regular version now, can I switch to Plus later? Yes! The Plus version currently just adds faster/priority support. To make the switch, you just need to purchase the Plus upgrade for the difference in price. This can be done by visiting your Account area.